PASAY--Ramon Gonzales gave the Filipino crowd something to cheer about early into One: Roots of Honor after quickly finishing Akihiro Fujisawa. 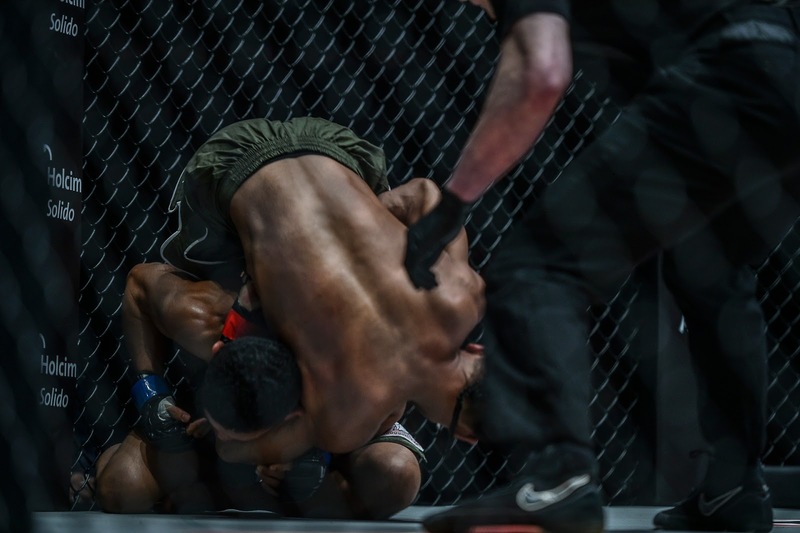 Gonzales wasted no time in taking advantage of an opening to perform a guillotine choke on his Japanese opponent, and he got the finish after Fujisawa tapped out at the 1:19 mark of Round 1. Meanwhile, Vietnamese-American Bi Nguyen was triumphant in her One Championship debut after beating Dwi Ani Wulan. Moments after taking her foe from Indonesia down, the former Survivor contestant and world title contender turned to the ground-and-pound to force the technical knockout midway into Round 1.